Simply put, Hass is good, solid, real-deal Mexican in a part of town that is largely lacking. Nestled between Anna’s and Sunflower in a strip center on Sawmill Rd. just north of 270, it operates as a (surprisingly refined) dining room that is semi-attached to a Mexican market (La Favorita). If there’s one thing we’ve learned in researching alt.eats restaurants, the restaurant-market connection gives us reason for heightened expectations. 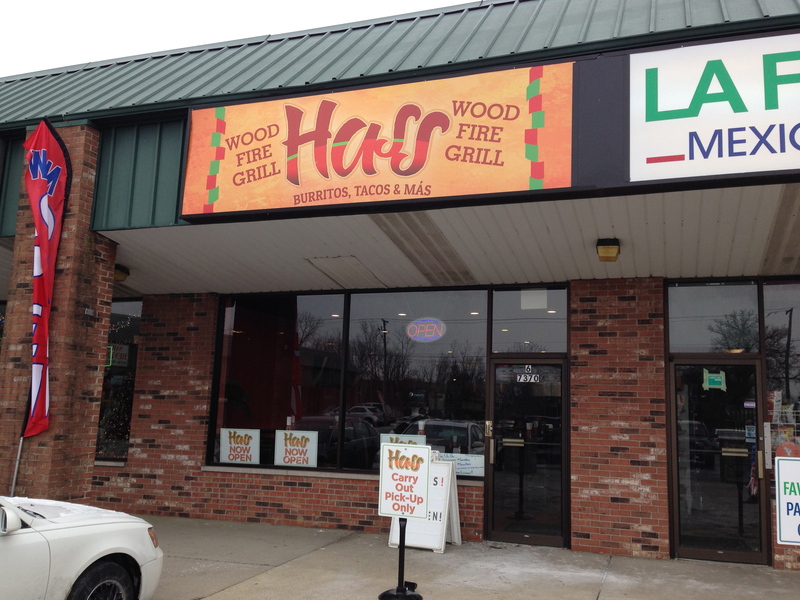 Expectations met by Hass’s wood fired grill. 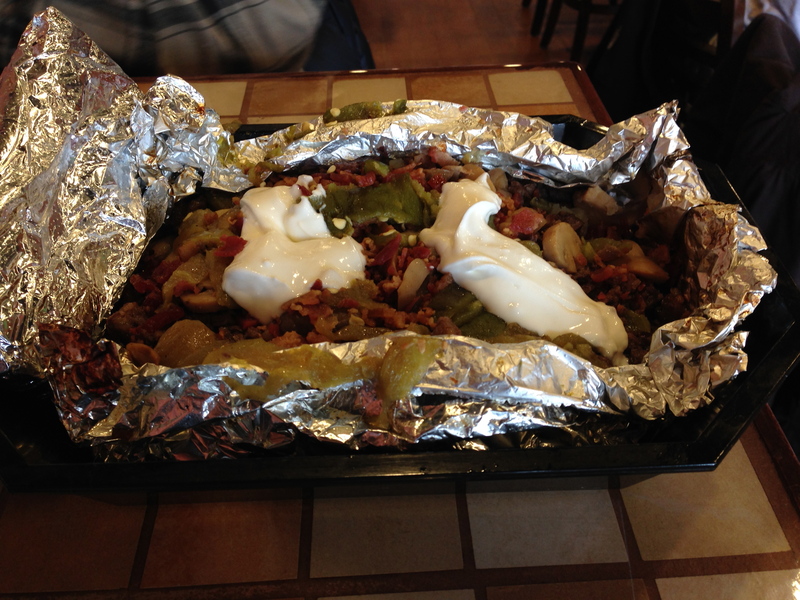 The flavor of the carne asada (steak) coming off of it is definitely a cut above, especially in the ‘papas calientes’ – a grilled/baked potato that has been sliced open and flattened, and covered with the aforementioned asada, plus bacon, mushrooms, onions, cheese and salsa. It’s like alambres atop a buttery baked potato, and this is a good thing. The selection of tacos is reasonable, with a fair range of options. Fans of spit-roasted al pastor should find contentment here – it’s a solid and enjoyable rendition that doesn’t (yet?) quite meet the lofty benchmark established by Los Guachos. Fish and shrimp tacos are good, as is the vegetarian taco (taco verde), filled with cactus, potatoes and melted cheese, known as the taco verde. Burritos and tortas are also available, as are a variety of daily specials. 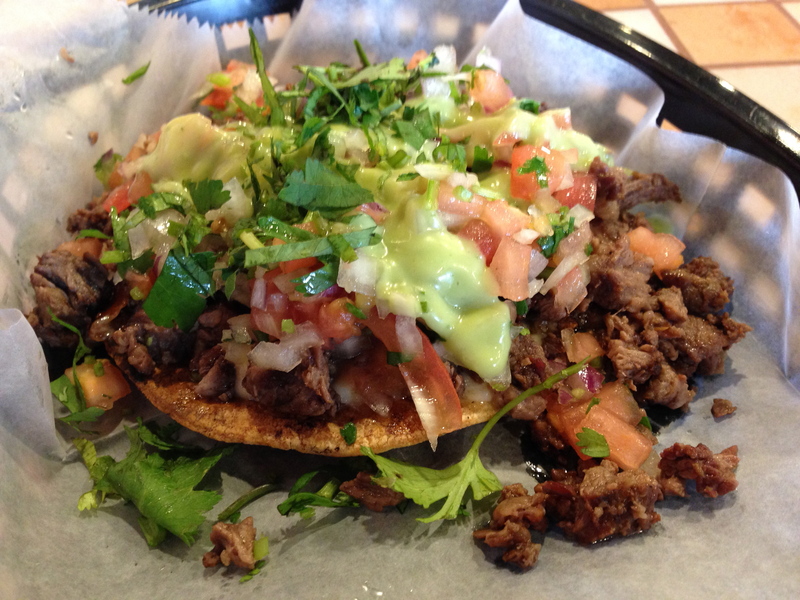 Tostadas are freshly made. 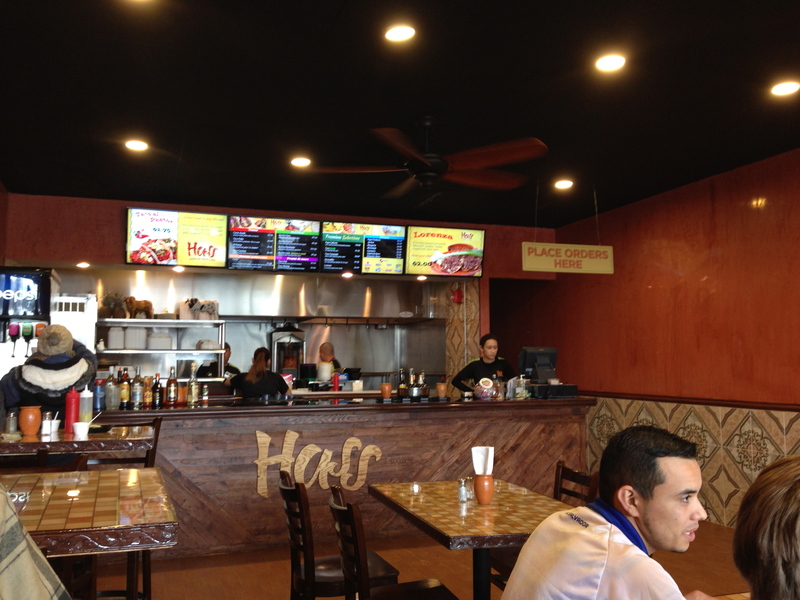 Hass is very new, and in speaking with the owner he admitted that there are some kinks to work out with service and the like. In our experience this was true, though it was nothing major, and we wouldn’t let it deter you from checking it out if your in the area.